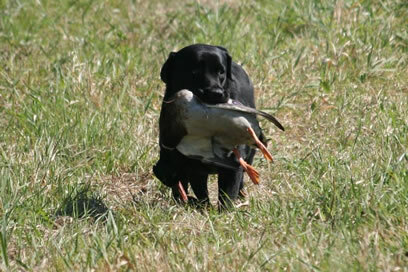 We are a group of Labrador Retriever enthusiasts who either own a Labrador or who are merely interested in the breed. Voting membership is open to those owning a Labrador. The LOC runs Working Certificate classes, in addition to holding Licenced Obedience Trials, Licenced Specialty Shows, Licenced Rally-O Trials and Licenced Field Trials. Our club bulletin which is issued 4 times a year giving club information, members results and general information on Labradors is one of the many ways the LOC keeps in touch with our membership. The LOC offers annual trophies which members compete for in Show, Obedience and Field. The most involved member during the year and the top all round dog are also awarded trophies. There are puppies available from 1 of our member breeders. Details of these lab puppy litters are available here. Labrador Owners Club Clothing now available to members. Please Log in to your members page to Order!!! Members Only section. For those considering a Labrador Retriever for the first time, check out Ways to Enjoy Your Labrador Retriever and Lab Standards. We welcome new members. Applying on-line is easy and takes only a few minutes. Have a look at our Membership page. Click on any link above or HERE for details.